The PVC is stiff enough for the freestanding coaming to hold it’s shape without sagging, but flexible enough to allow the tubes to un-plug at the front and rear center ( See next page) . Velcro closures seal the small front and rear openings. 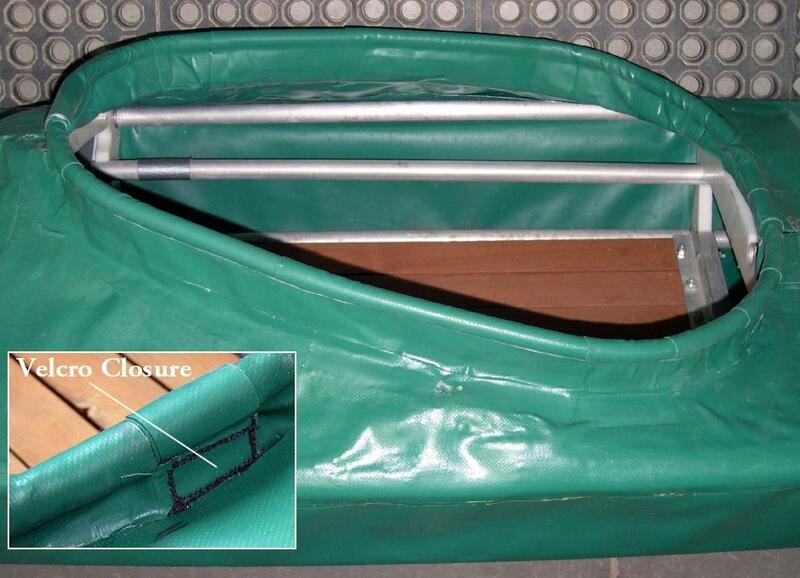 This setup is watertight, and should be well suited for rolling or rough water paddling. In addition, it packs easily when disassembled.